Let your customers enjoy making pizzas at their home while remembering you for the lovely gift! The all new Chefz Bamboo Pizza Set is an amazing choice for promotional giveaway or corporate gift and is sure to impress any food fascinate. This gift set is made using fine quality, nature-friendly bamboo material and features a simple, elegant, easy to use design. 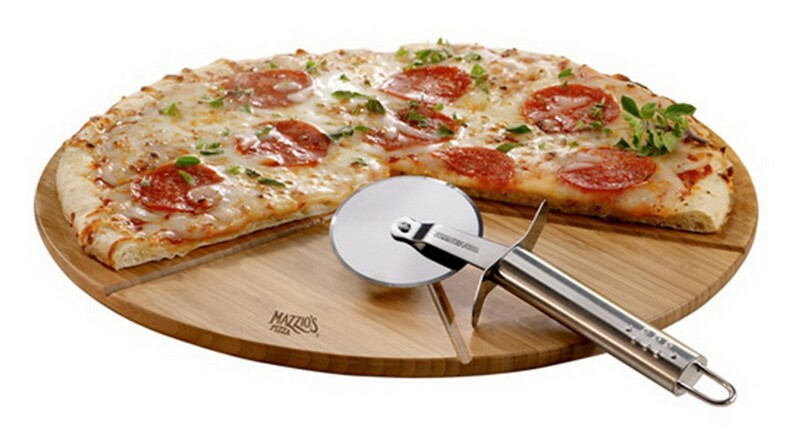 The collection consists of a specially designed pizza board with cutting grooves to ensure that you cut the perfect piece of pizza every time. It also includes a stainless steel pizza cutter to make it easy cutting any type of pizza when made at home. The board offers ample etching space to let you customize it to your brand by including your corporate logo and custom message on it. Stand out at your next promotional show or event with this kitchen accessory!